Imo State Governor, Rochas Okorocha, on Wednesday asked the state governor-elect, Emeka Ihedioha, to stop creating tension in the state. 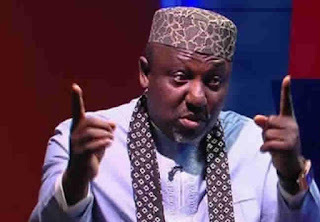 Okorocha, in a statement by his Chief Press Secretary, Sam Onwuemeodo, accused Ihedioha of creating tension in the state through what he described as his unguarded utterances and provoking actions. “It has become increasingly necessary to call on Emeka Ihedioha and PDP chieftains vis-à-vis members of the party in the state to stop creating undue tension through their unguarded utterances and their provoking actions,” he said. Okorocha said that it was wrong for the governor-elect to issue a statement, warning civil servants to stop taking instructions from his government. The governor advised Ihedioha to wait until he is inaugurated before he starts acting like a governor. But the governor-elect, who spoke to our correspondent through his media aide, Chibuike Onyeukwu, said he was not creating any tension in the state.